Imagine being the translator for a meeting between two country leaders. Instead of ending the conversation with “thanks and good bye” I translate “tanks and good bye”. Posted on February 15, 2016 March 2, 2016 Categories Reviews!1 Comment on Earphone showdown – Dollar store to brand name stuff! So, I’ve made the jump to CM13 after a month since the nightly builds started to rollout. So here’s how it went! CyanogenMod 13, Nightly build, February 1st. Live Display deactivated for those who are concerned with the yellow tint. I did a dirty flash, also known as an in place upgrade. On CyanogenMod, they heavily emphasized that you need to immediately update your GApps and other 3rd party applications you might have installed in one go. I did that, but I am not sure what happens if you don’t heed that advice. Bluetooth – I was able pair with my stereo Bluetooth speakers OK, but attempts at pairing with a Pebble has caused a soft reboot. Overall very smooth. Noticeable speed / smoothness improvement when juggling between applications. There is hardly any lag when switching between things. Marshmallow is an “incremental” update from lollipop so the phone feels more refined but not “oh it feels like a new phone”. Battery life is the same as CM12.1. That means I can get through a day as usual. I don’t use Bluetooth nor do I have it turned on so the fact that it only works partially did not bother me. Currently I have no problems in using it as my primary phone. This, will not be a review. I’ve been wearing this “type” new balance shoe for a long time and all I have to say is this: don’t run in these, walk in them. I think I made my point, all these new balance shoes practically look the same, but they all have different model numbers. How do I know these numbers? Wearing them for the past ten or more years help. The real purpose of this post is to talk about why “I am at a whole new level of laziness”. Needed to buy some shoes, preferably ones with a flat bottom for biking. “These” New balances and Converse come into mind. 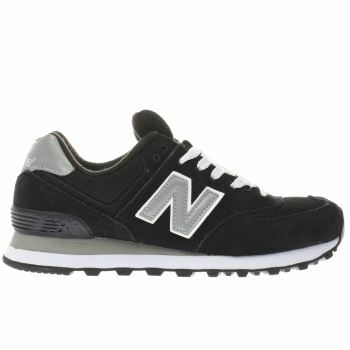 Never wore a converse ever, so New Balance it is. It was available in Foot Locker at West Edmonton Mall. Got acknowledged e-mail on January 25th. Got shoe on January 28th 3PM. I like the description: “Met customer man”. Yeah man, I met up with the delivery person! Got confirmation e-mail on the same day an hour later at 4PM. Wait what? Yup, UPS got to me faster than the confirmation e-mail did. Even e-mails are getting lazy. Once I open the box I am reminded of how lazy I am, I had West Edmonton Mall UPS a shoe to me for 11KM. But where to go yo? It’s been awhile since I had nice ramen. In Edmonton, the only place that has nice ramen is Yuzen, in St. Albert. 15KM ride leaving from downtown. Unlike last time with Sherwood Park (link), I did not get lost so this is also what actually happened. Snacks for me. I cannot emphasize this enough, bring some emergency snacks for bike rides. In this case it is especially important since I am going on an empty stomach and I can run out anytime. Yuzen only does ramen up till 2PM, last order 1:45PM. Better get going! Obstacle course by design? This was on 112 Street. Due to parking on the sides, it’s pretty much a bi-directional single lane. However, cars here are very slow and very courteous. Cars drive towards the sides or even stop to let me pass. Other times I do the same for cars, it’s mutual. Sherbrooke Ave, one more turn and I will be going into the St. Albert Trail, the main road. St. Albert Trail. This is the last photo before I enter St. Albert. There is a reason for that. Remember what I said two photos ago? Yeah, toss all of that. Max speed here is 60km/h and 60km/h is probably what these vehicles are doing. Me? I was doing 28km/h-ish. At first I rode near the curb for safety, but people like to push their luck. Some cars still thought it was a good idea to pass me with one meter clearance in the same lane when the other two lanes are wide open. So I used another tactic, in the right most lane, ride in the middle and “dominate” the lane. Much safer, cars get the message and now use the other two lanes. Sidewalks availability is spotty. Sometimes on the left, sometimes on the right. So if you want to traverse St. Albert Trail on sidewalks, you’ll have to switch left and right quite often. Every time you switch, you are crossing six lanes of traffic, not good. So I stuck with my ride at the right lane, and dominate the lane strategy. I have arrived at Yuzen! 40 minutes, 13KM. What? 20km/h? So slow? Finding parking. It took me 10 minutes to find a place a place I can lock my bike to. Unlike Edmonton, where there is a place to park everywhere. St. Albert? I didn’t see any near Yuzen. I ended up using some pole that seems to protect the water pipes from getting crashed on by cars in a back alley. Not the best, ideally I want both u-locks to go through the pole, but this is best pole I can find around. Oh did I mention Yuzen only does ramen Saturdays 11:30am-2:00pm? Yes, one day for 2.5 hours a week. Seriously, don’t let the plain looks from the camera fool you. This bowl of ramen is probably one of the best tasting ramen I’ve ever had in my life. That’s saying something because I’ve had a wack load of ramen at all kinds of price points in various places. This is definitely up there. How do you know it’s up there? I biked all the way from Edmonton downtown to St. Albert in winter just for it. I’ve been here before (by bus which is painfully slow) and I know, at the end of the bike ride, I will be rewarded with a bowl of nice ramen. So instead of turning at Sherbrook Ave, I ignored it, and went straight down. In hindsight, sigh… I will quickly regret this decision. Groat road… max speed 35km/h. I was tempted to shift into my final gear 44:11 but I’ve hit the speed limit. As a law abiding citizen I stopped shifting, and I am now traveling as fast as the cars around me. What’s the fuss? Roadies do this stuff all the time. Look at those curves… and the frozen road. I’m on a mountain bike without winter tires. I definitely understood why the 35km/h speed limit was in place. I knew if I went any faster, I might skid. If I tried to brake I might lose control of the rear wheel. Pick your poison scenario. I decided to freewheel through at ~37km/h, off saddle and shifted my weight to the back just in case an unavoidable pot hole comes up. That turned out to be an okay decision, given the situation. With every decline, there is an incline. Yeah, that wasn’t much fun either. Some fish tailing here and there but I was on a sidewalk this time. Also I was only going at a puny 15km/h so no big deal. I reached University of Alberta in about 25 minutes on this path. An extra 10 minutes to get back to downtown. The route was 4.5KM longer, but I still got back five minutes faster. Overall, not surprisingly, staying off the main road (St. Albert Trail / Groat Road) will be the safest and most peaceful way to get to St. Albert. A safer route will be going through normal streets and minimizing time on the main road. However this safety detour will probably add another 5KM to the total. Totaling upto to 20KM. For those who like the fastest way, St. Albert Trail and Groat Road is doable in the winter, but not for the faint hearted. Maybe better in the summer? At least slip and slide won’t be an issue. Looking at this should give you a good idea of what I looked like after the ride. This is one of the reasons why I don’t like to go fast in winter. But hey! I burnt 471 calories!